Boys/Girls 16 & 18 - Phoenix, Ariz.
Boys/Girls 12 & 14 - Tucson, Ariz.
Just over 1,000 of the nation's best junior tennis players, including several USTA Southwest players, will be spending their Christmas breaks in Phoenix and Tucson for one of the pre-eminent junior tournaments in the United States, the USTA Winter National Championships. 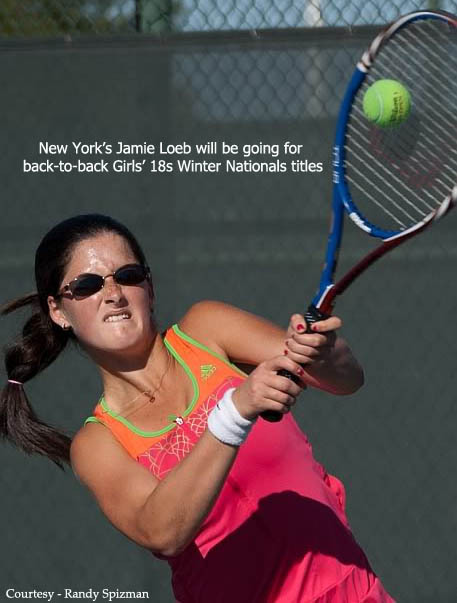 The annual post-Christmas tournament - one of the four USTA junior Slam tournaments held each year with gold ball national championship trophies at stake - will begin Dec. 27 and run through January 2. With 128-draw full, feed-in singles and 64-draw doubles competition in four age groups (12, 14, 16 and 18), the events are huge undertakings and will enlist several volunteers and use various sites around Phoenix and Tucson. Phoenix, which will host the Boys and Girls 16's and 18's divisons, will use four of the city's major tennis centers, including Scottsdale Ranch Park (Boys 18s), Indian School Park (Boys 16s), Gene Autry Tennis Center (Girls 18s) and Kiwanis Tennis Center (Girls 16s). Tournament director for the event in Phoenix is Sally Grabham. Tucson, which will host the Boys and Girls 12's and 14's divisions, will use three sites, including Reffkin Tennis Center, which will field the Boys and Girls 12s. Both Tucson Racquet Club (Boys 14s) and the University of Arizona (Girls 14s) will also be in play for the championships. Tournament director for the event in Tucson is Meghan Houk. Finalized draws and seedings for these events will be announced soon so check back to the tournament homepages for updates. ATTN Parents and coaches: Please note that the USTA is holding special Tennis Town Hall events in conjunction with the Winter Nationals on Dec. 26 in Tempe at the Phoenix Sheraton Airport Tempe at 6:30 pm and Dec. 27. in Tucson at the DoubleTree Hotel across from the Reffkin Tennis Center at 6 pm. This is your opportunity to make your voice heard about the USTA junior competitive structure.